You are a strong woman. Willing to do your best for your child, and yourself. You want the best care. 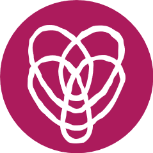 Our doulas will support you in any choice you make with a strong foundation in evidence-based care. They also work to create a team that works best: you, your chosen care provider, and them. Your choice, your birth, your body, your strength. New Beginnings Doulas bring the extra support you may need. To find a doula near you, click on the state or country you are interested in. How to become a doula. Your career as a doula.